Award show season. It’s the perfect time to scrutinize the fashion choices of the rich and famous from the comfort of your favorite sweatpants. Feed your self-righteous appetite with these show-stopping hors-d’oeuvres for the whole posse to enjoy. No champagne, no gain, right? These creamy little treats are a sweet and bubbly party in your mouth. They’re also adorable, so brace yourself for lots of compliments from guests. Potatoes should be cherished in every form. Fries, tots, and mashed potatoes are all beautiful in their own way. These little guys are loaded with bacon and cheese and are best enjoyed in one single bite. What’s a show without popcorn? This popcorn bar adds some much-needed variety to a classic favorite. It’s perfect for munching on between sound bites of celebrity gossip. 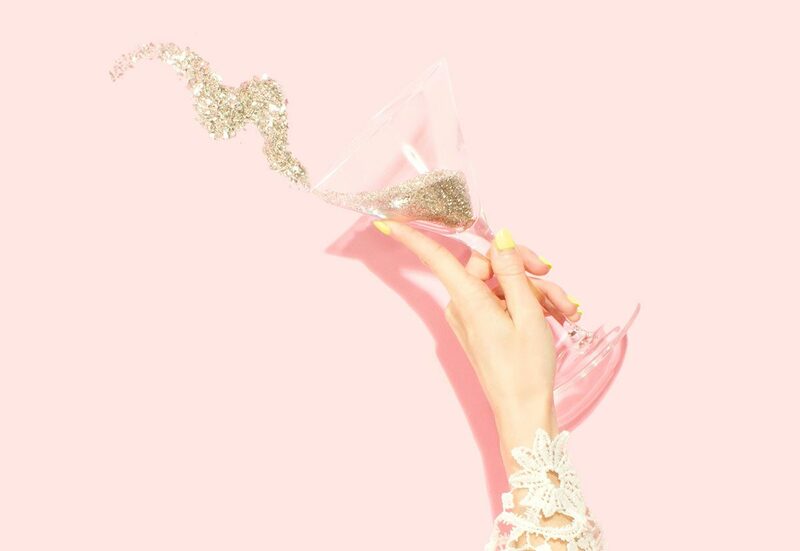 The beauty of this sparkling cocktail is its ability to be transformed into a non-alcoholic option for your DD or non-drinking friends. Just substitute sparkling water for champagne!